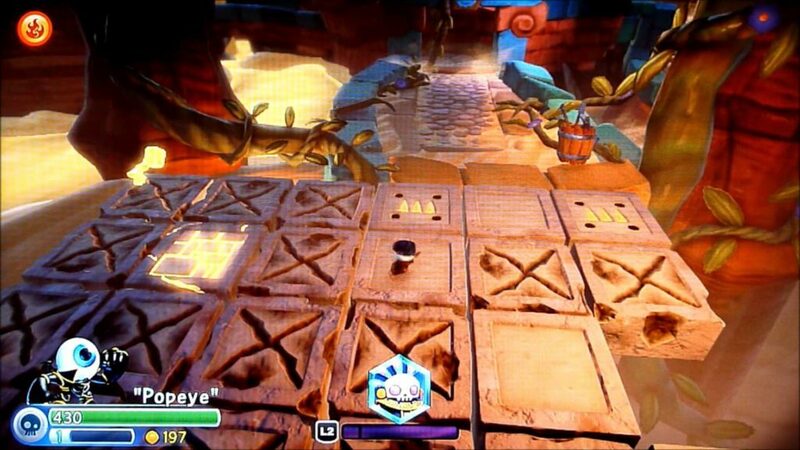 We focused several levels towards the Villians so I jumped at the chance to make a Golden Queen level. She is voiced by CCH Pounder and I am a huge fan. 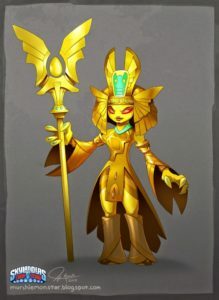 On top of I deeply love the Egyptian video game art style. The first thing I created was the secret under the pit of sand area, intended to surprise and shock players who thought they were failing. Next, we needed new mechanics, so I recreated the floor tiles from the Mists of Pandaria vaults area. Lastly I used a mechanic I had created for the expansion Midnight Museum (which wasn’t an expansion at the time) that was pretty heavily inspired by Dishonored. Stealth gameplay! 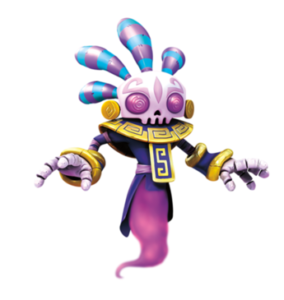 Bad Juju, one of the few capturable enemies who is a female character.